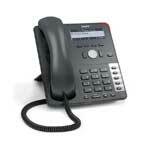 VoIP phones and providers are sometimes difficult to fathom. 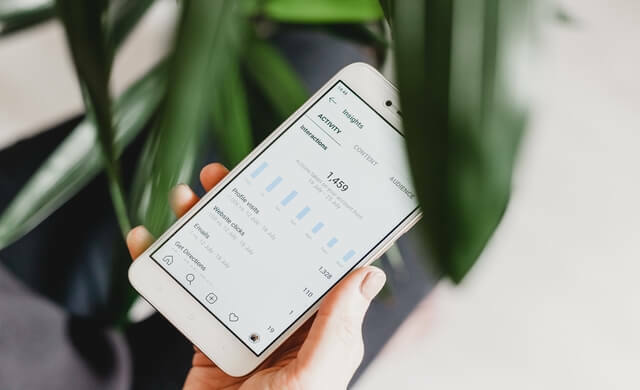 The information on this page has been designed to help your business decide exactly what you need, and who should be providing it to you. Voice over Internet Protocol (VoIP) phone systems – which enable voice and video communication through the internet – offer a wealth of features and advantages that can help your business to improve and work effectively every day. A VoIP phone takes analog audio signals and converts them into digital ones, transmitting your voice through the web and allowing you to make essentially free calls – even over a long distance or internationally. Many providers now have VoIP phone system offerings targeted specifically at the small and medium-sized business sector, with a range of scalable solutions to suit your needs – lines can be added as you grow. But what VoIP is the best option for you? 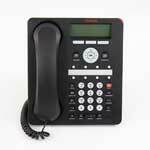 What kinds of VoIP phones are there? And which UK VoIP phone service provider should you choose for your business? The list provides information about the various topics covered on this page – click any now to find out more. Read on to find out what you can expect from a VoIP phone service and discover our pick of the top 10 VoIP phones on the market. 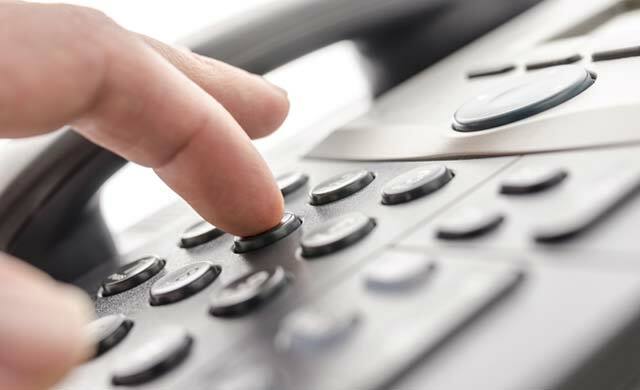 With so many different VoIP phone systems on offer – usually named with a sequence of digits and letters – comparing them to find out which is best for your business can be an overwhelming task. eBay’s top pick for Cisco VoIP phones, the 7940G was designed to handle a high volume of calls and offers superb sound quality, high-quality, hands-free speakerphone capability, built-in headset jack, a large pixel-based display and access to at least two telephone lines. With the range of features included and the low price combines, this is an excellent option for modern businesses. 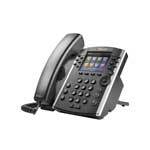 Avaya’s “value-priced” 1608 deskphone combines the traditional features of VoIP phone systems with the functionality usually found from more expensive alternatives. It features 8 flex keys that can be programmed to whatever the user wants, an integrated headset jack, hands free calling and communication. Available for iOS and Android operating systems and across multiple platforms (desktop, mobile, tablet), this softphone offering features HD voice and 1080p video calling, a detachable full screen video window, the ability to hide your ID, missed calls indicator and standard telephony features including speakerphone, three-way call transfer, forward and hold. Designed with small businesses in mind, up to five of these affordable wireless phones can be linked to a single DECT hub, which can support four simultaneous call. Each can store up to 200 contacts and they have a 300-metre outdoor range. 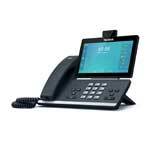 This an excellent choice for any modern business in need of a quality communications system. A well-reviewed, decent entry level IP phone designed for small and medium businesses that can be connected to a laptop or any other ethernet device. The Polycome VVX 201 features three-way conference call capabilities, two Ethernet ports, high definition sound quality and a monochrome backlit LCD screen. Highly commended at this year’s ITSPA Awards, snom’s desktop offering features 2-Gigabit Ethernet ports, HD audio, black and white display, hands free speakerphone, a directory of 1,000 entries, headset connection, as well as a range of traditional features. Though snom is a less-known brand than some of the others included on the page, this phone is sure to be an excellent choice. 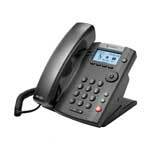 The 12-line Polycom VVX500 is a mid-range phone with an LCD screen and all the features you’d expect including HD sound quality, call timer, waiting, transfer, hold etc., three-way audio conferencing, a do not disturb function and Busy Lamp Fields for monitoring the availability of colleagues. Another highly-rated entry level phone, the Digium D60 was designed for offices that don’t experience a high volume of call traffic. Its sound quality rivals executive level offerings, with a clear 4.3” digital screen, three-way conferencing, call waiting and transfer, redial and a variety of features you’d expect from this kind of phone. Winner of ‘Best VoIP CPE’ at this year’s UK Internet Telephony Services Providers Association Awards (ITSPA) Awards, this 4 channel HD cell station comes with two fully-featured Digital Enhanced Cordless Telecommunications (DECT) handsets and can support four simultaneous HD voice calls. Networks of up to 128 cell stations and 255 handsets can be created. The newest offering from the Chinese manufacturer Yealink, this pricey but comprehensive VoIP video phone boasts a seven-inch adjustable touch screen for up to three-way video conferencing or five-way video/audio mixed conferencing. 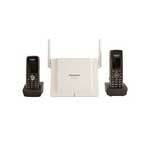 It supports up to 16 VoIP accounts and has built in Wi-Fi and Bluetooth for headsets and mobile devices. There are a number of big players in the UK’s VoIP phone market, offering you a choice of systems that rival each other for price and functionality; which one you opt for will depend on the needs of your business. The table below includes a quick side-by-side comparison of the top VoIP providers on this page, with more information about included below. Cisco’s IP phone portfolio encompasses a huge variety of products, ranging from its basic single-line 3900 Series SIP Phones, through its full-featured 7800 Series IP Phones with wideband audio and “enhanced acoustics”, to the 8800 Series IP Phones with HD video and superior audio. Cisco markets its products as being generally more affordable and cost-effective than rival manufacturers. The company’s SPA500 Series IP Phones and SPA300 Series IP Phones are a range of basic but full-featured IP Phones designed with the needs of small businesses in mind. Claiming to be a leader in HD video conferencing, Polycom has designed its products in line with the growing trend for flexible working, with services and tools that help workforces share and collaborate from wherever they are located using VoIP conference phone solutions. From executive video collaboration software and hardware for boardrooms, to video solutions for smaller places and teams, the company offers a range of products and services for different business needs. Polycom directly integrates with over 60 call control platforms and uses advanced noise cancellation technology in its handsets, which blocks background sounds from entering the microphone. At the more affordable end of the price spectrum, Avaya’s IP Office solution is a call, messaging conferencing and customer management system that allows customers to scale from five to 3,000 users (or up to 150 locations), and supports digital, analog, IP and softphones. The company claims its 1600 Series IP Deskphones, a range of basic but full-featured VoIP phones, combine the features of traditional VoIP desk phones but with the capabilities usually offered by more expensive devices. A more well-known provider, BT’s VoIP phone systems are hosted in the cloud, allowing customers to take and manage calls from their computer or mobile as well as their desk phone, and to use the features of their office system wherever they are. This also reduces the cost and need for hardware and maintenance. It’s BT Cloud Phone plug ‘n’ play VoIP system is ideal for microbusinesses, host up to nine users and starting from £13 per month per user, while its BT One Phone Office is an integrated mobile and office system for 15 users or more and is ideal for businesses with a mobile workforce. This German company offers a range of specific solutions for businesses that have fewer than 10 employees all the way up to businesses with more than 250 employees and everything in between. Gigaset’s products adhere to IP standards and offer built-in support for integration with a wide range of features. Its Gigaset DECT repeater has been designed for larger environments or multi-floor offices, allowing you to boost the coverage area of your network. Up to six additional DECT repeaters can be added to one base, expanding the range to between 50 and 300 metres. 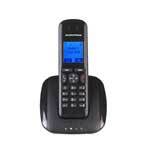 VoIP phones encompass a variety of technologies that allow for internet communication. Different products are suitable for different environments and different business needs, depending on the size of your organisation, whether you have a remote workforce and how much you’re willing to spend on a VoIP phone system. 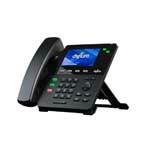 Your standard corded VoIP desk phone uses an Ethernet cable to plug directly into your VoIP system and is typically kitted out with a wealth of useful features to improve your workplace communications including caller ID display, call transfer, hold and blocking; secure, encrypted communications and three-way calling. These cordless VoIP phones use your Wi-Fi network to make calls, giving you the freedom to roam around the office whilst you communicate. 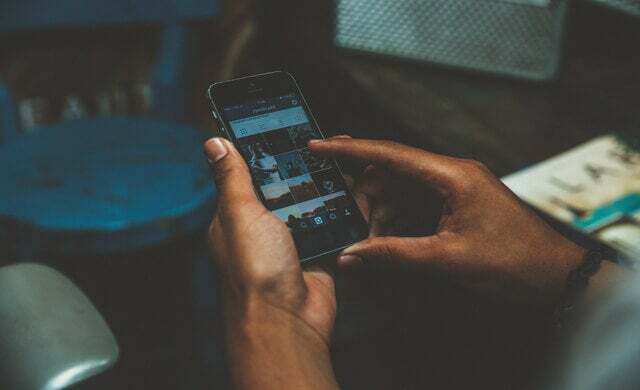 Multiple phones can be connected to a base unit, meaning you can expand your network as you grow, whilst DECT repeaters can be used to boost the signal of your Wi-Fi and increase range. 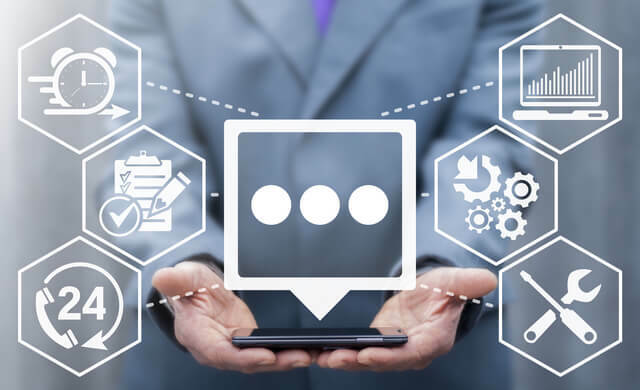 Some of the more advanced VoIP offerings feature video calling and conferencing capabilities allowing for high-quality voice and visual communication through the internet. Many products will even support three or even five-way video conferencing so you can bring your team together no matter where they are. This is a software application that can be installed on any device (laptop, tablet, mobile) to turn it into a VoIP phone instead of using dedicated hardware. This is the most affordable option and a good choice for remote workers who find themselves needing to communicate with clients, partners or HQ whilst out and about. All you need is a headset and an internet connection. 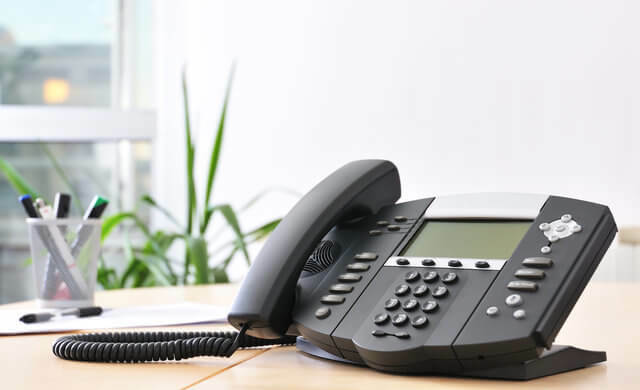 VoIP phone installation is a relatively simple procedure that shouldn’t require any major disruption to your business operations or overhaul of infrastructure; provided you have a decent broadband connection and the necessary hardware. Comprehensive instructions can be found online. Simple plug ‘n’ play VoIP desk phones require you to do no more than plug the hardware into your network using an Ethernet cable before you’re good to go, but larger systems, wireless systems or more complex network setups may require a more challenging procedure to get up and running. For many in a small business saving money is as critical to the bottom line as making money. If you use landline phones a lot then you may be interested in using a phone system that utilises the internet. This system is called VoIP. VoIP essentially uses the internet to carry telephone calls the same way in which it uses the internet to carry emails. Many large international companies have moved to VoIP as they see it as a way to save money on phone calls. By using the internet you can bypass conventional phone companies and enjoy much cheaper phone calls. Unfortunately, there are some downsides which we will explore a bit later. VoIP phones simply convert analog voice signals into digital signals to allow users to make calls through the internet, which is a lot cheaper than traditional phone lines and even enables you to make long distance and international calls at no extra cost. VoIP systems are generally easier to scale than traditional phone setups, a boon to fast-growing start-ups that want their infrastructure to keep pace as they expand. As well as all the features of a conventional phone, VoIP phones provide a wealth of other features that enhance company collaboration and streamline communication with remote workers – in turn helping to boost the productivity of your business and creating efficiencies. To get VoIP, you will need to sign up with a VoIP service provider who will route your calls both within and outside the internet. The most popular service providers will use their own software program to provide VoIP. These services are extremely popular, but they are reliant on your PC. If you run the service provider’s program on your existing PC; it will provide an electronic phone-book, and will enable you to see when other users you know are available. Calls to users of the same system are usually free, and subscription costs free or low. You typically pay most for calls to the ordinary telephone system. Because the program is free, it is quick and cheap to equip a whole business with the technology but you will need to have your computer on whenever you wish to make or receive a call – no problem if you normally have your computer on all day, an annoyance if you don’t. 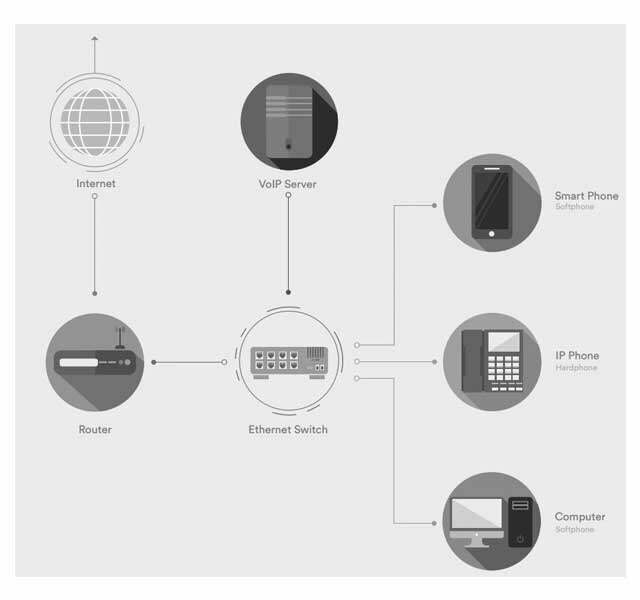 The image below shows the general process that goes into making a VoIP phone system work. The internet will run through your router, onto your ethernet switch and into your VoIP server. From there, connection can be provided to computers and IP phones, allowing your staff to connect and make calls, without requiring each phone to be directly plugged in. The ability to view whether your contacts are online. Text messaging and file exchange systems. The ability to quickly and freely set up teleconferences. Low or free subscription rates, and the ability to talk to other users free of charge. Some providers are currently offering or trialling video services. 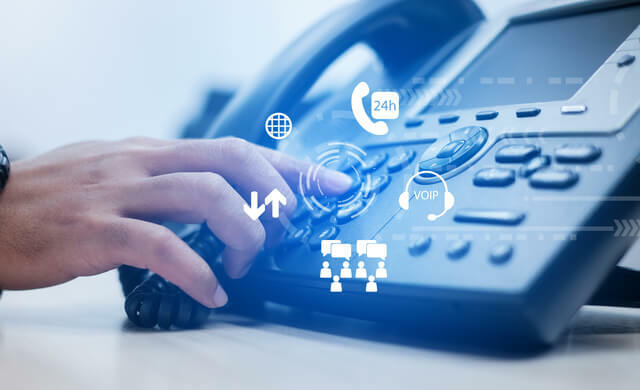 Calls to conventional telephones attract charges, although considerably below those of normal providers, especially for international calls The main disadvantage of PC-Based VoIP telephony is its reliance on your PC – the PC must be on to make or receive calls. You must also be quite close to your PC, although some companies are selling devices like a cordless phone which integrate with PC-Based VoIP packages. The main advantage of VoIP is the low start-up cost. If you already have a recent PC and broadband, chances are you already have the required equipment. The VoIP application or program is free, and if you have several people with similar setups whom you regularly phone, the savings could be a lot. 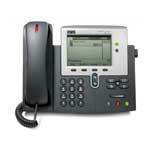 The information on this page should help you to understand what kind of thing you can expect from a VoIP phone system. As mentioned, it is among the best options for businesses looking to invest in new communication equipment and there are a huge range of options. The best way to find the perfect system though, is to speak to supplier – we can help with that process. Fill in the form at the top of this page now to be put in touch with up to four top UK VoIP suppliers. These suppliers can provide quotes and prices based on your exact requirements. This comparison process is free, quick and easy, and it could save your business both time and money.